I am officially done with my first year at UW-Madison...I messed up the second semester...I won't lie. But I'm so damn happy that it's finally over. I was sooo devastated at the end that I didn't sleep, didn't eat, didn't do anything but studying. And yeah. the door will be red. 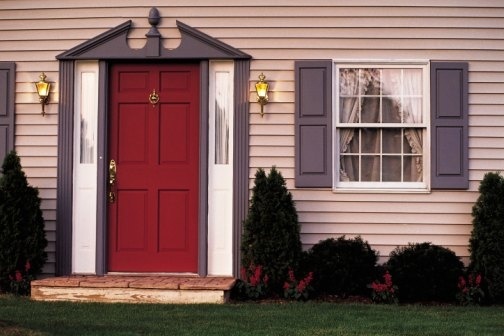 It is the best choice to have a rich dark red colored front door. It will make every house beautiful.